Adidas CEO wasn't lying when he revealed to CNBC that Kanye West and Adidas have more than 20 Yeezy releases on deck for 2019. Over the last few weeks, Adidas has released a trio of Yeezy Boost 350 V2s, as well as the "Inertia" Yeezy Boost 700 and "Geode" Yeezy Boost 700 V2. And the hits just keep on coming, as an all-new black colorway of the Yeezy Boost 350 V2 is now rumored to drop on June 22. The kicks first surfaced on Thursday, giving us an early look at what to expect. The primeknit construction of the low-top Yeezys comes dressed in varying shades of black and dark grey, while the Boost midsole, laces and inner lining are all decked out in black. There are also reports of a new glow-in-the-dark Yeezy Boost 350 V2 that is slated to drop this Summer. Click here for more on that pair. 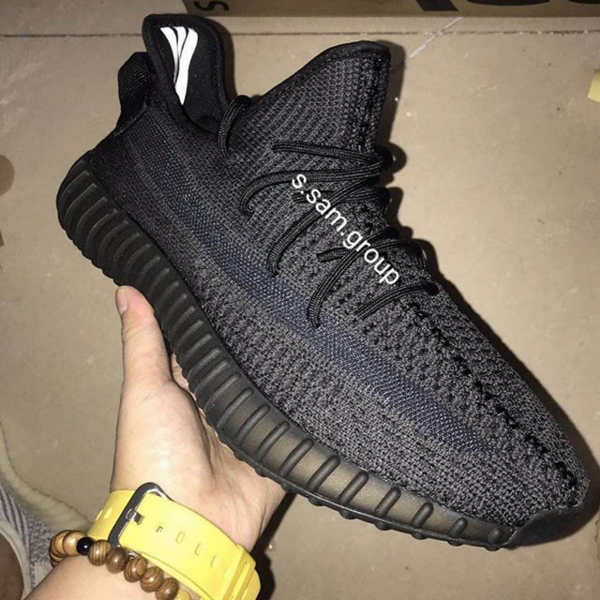 Scroll down for early images of the new black Yeezy 350, and stay tuned for official release details.